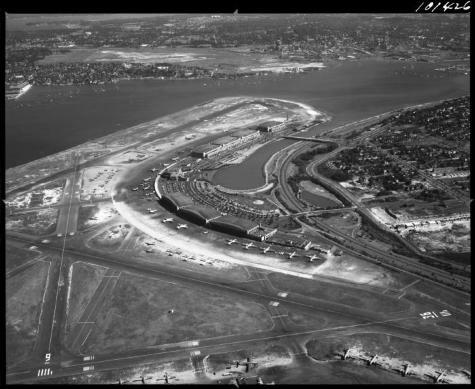 View of La Guardia Airport in Queens, New York City, looking east across Flushing Bay towards Flushing. Source: New York State Archives, Aerial photographic prints and negatives of New York State sites, 1941-1957, B1598-99. Box 11, no. 18.